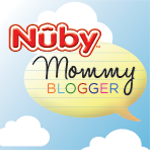 First, I'm happy to announce that I have began a new venture with Nuby as one of their Mommy bloggers. This allows me to try their products and then follow up with a review. With a toddler, a baby and plans to continue our family - what a better company to work with! I have always found Nuby products to be high-quality & functional so I was very excited to become part of their Nuby Mommy team. Today I am starting a five week series reviewing five of their products. Be sure to check in every week as I'm working on a giveaway with Nuby at the end of the series! 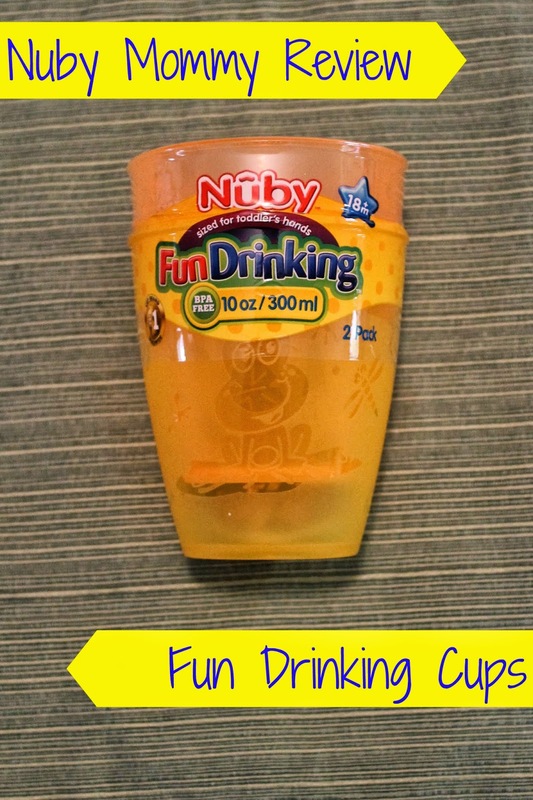 Today's review is on Nuby's Fun Drinking Cups. How many of you out there keep telling yourself that you should really start having your toddler drink out of an open cup and not a sippy cup? I'm raising my hand! I know I should move LP out of a sippy cup and into an open cup but I really don't like having slight panic attacks whenever I do let him drink out of our "regular" glasses. I hadn't really found that good "beginning" open cup yet and loved hearing about Nuby's Fun Drinking Cups. Which would you rather having your toddler drink out of??? 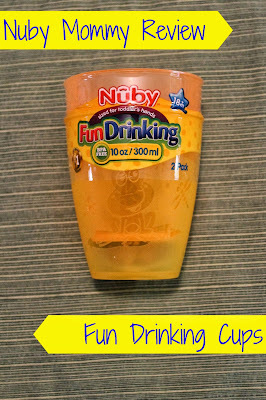 Nuby's Fun Drinking Cups are durable and come in a variety fun colors and designs on them. (The ones we have our yellow and orange and have frogs on them - which LP thinks is pretty cool.) They're small enough for small hands to easily handle but yet big enough to give your toddler their desired amount of milk, juice, water, etc. Nuby says this product is great for children ages 18+. I find the cups as a great beginner open cup and am happy to have them in our cupboard. LP has officially graduated up from the sippy cup! What is your new favorite baby or kid's product? I can't wait to continue to share more reviews with you in the upcoming weeks! 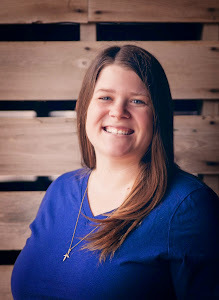 Congrats on being a Nuby Mommy Blogger- Well deserved! Love your post- It's well written and you rock! Thanks Sara! I think it'll be a lot of fun testing their products on my kids! We love these cups, too! I obviously got the first two from Nuby and have already purchased another set online! Keep the reviews coming-I need all the help I can get! Will do. Next week's review will be more for infants!